Slides for some of the chapters are available here. The management of the uncertainty in the Semantic Web is of foremost importance given the nature and origin of the available data. 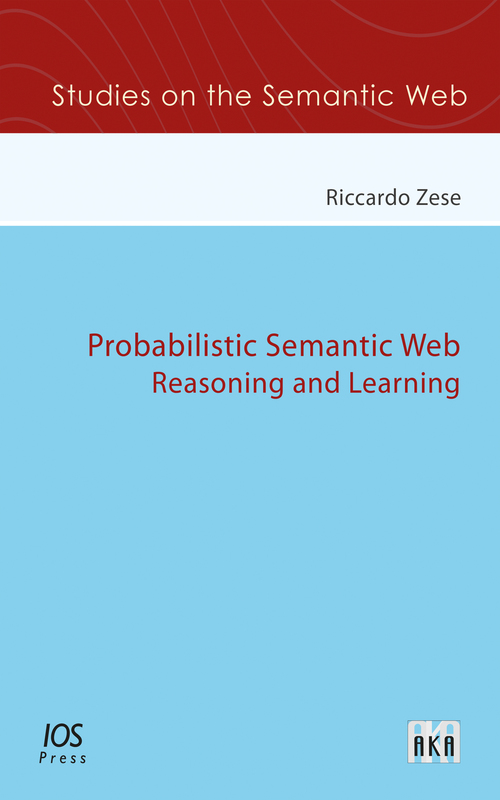 This book presents a probabilistic semantics for knowledge bases, DISPONTE, which is inspired by the distribution semantics of Probabilistic Logic Programming. The book also describes approaches for inference and learning. In particular, it discusses 3 reasoners and 2 learning algorithms. BUNDLE and TRILL are able to find explanations for queries and compute their probability with regard to DISPONTE KBs while TRILLP compactly represents explanations using a Boolean formula and computes the probability of queries. The system EDGE learns the parameters of axioms of DISPONTE KBs. To reduce the computational cost, EDGEMR performs distributed parameter learning. LEAP learns both the structure and parameters of KBs, with LEAPMR using EDGEMR for reducing the computational cost. The algorithms provide effective techniques for dealing with uncertain KBs and have been widely tested on various datasets and compared with state of the art systems.